If you have oak trees, you really need to read this. Many precautions need to be taken to prevent a major die off of your oak trees. Those trees are a major value for your homw. Losing not only could effect your value, but the cost of removal is huge. Spring has sprung a wee bit early in Minnesota which is causing many plants and trees to bud. Mature trees can add a tremendous value homes especially on Anoka County acreage. But trees do require maintenance too. Not only do they need their leaves raked in the fall, often a professional pruning can preserve and enhance the foliage for generations to come. 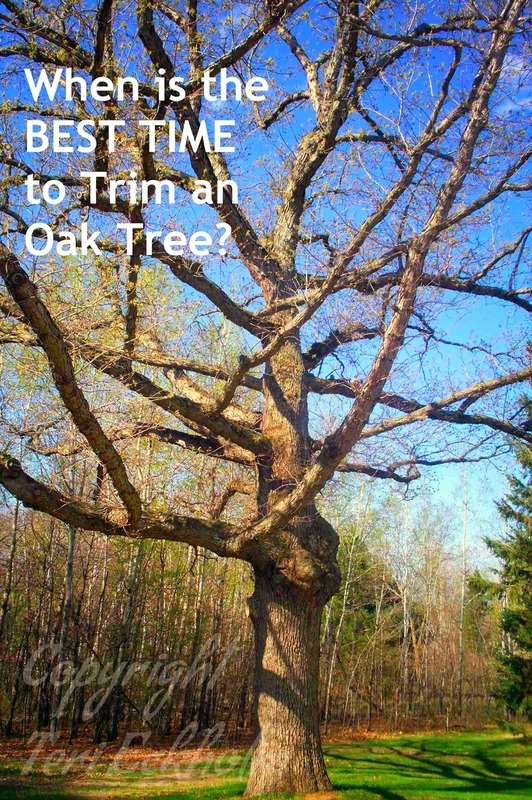 However, trimming oaks is not something to be done without thought given to timing. Oak trees are best trimmed in winter months. Sadly, in many counties of Minnesota, oak wilt is spreading. It is a nasty disease that can kill a mighty oak quickly and without warning. Keeping the fungus at bay takes forethought when doing spring and summer yard work. Ignoring oak wilt only causes the disease to spread. Since it can take decades to grow a beautiful oak shade tree, shouldn't they be protected? A wooded landscape has a direct affect on a property's value. The loss of mature oaks can cost a homeowner thousands of dollars in potential value when it comes time to sell. Oak wilt is a disease caused by a fungus that destroys the entire central system of the tree from its roots to the tips of its leaves. The tree will try to block the fungus, but in doing so it blocks all water and nutrients to the branches and leaves. Eventually, the tree's leaves will begin to wilt then dry up and the tree will die. Oak wilt spreads in two ways. It will either be attacked through the root systems of near by trees or by fungus beetles that carry the oak wilt spores from tree to tree. For additional information on oak wilt from the University of MN Extension Service. To prevent the spread of devastating disease, it is imperative to follow the guidelines for oak wilt prevention. Do not prune, damage or cut down oak trees during the spring and summer growing season from April through the end of September. With our early warm temperatures this year, it might be best to wait until fall now. During the spring and early summer months of May and June, oaks are at especially high risk to this highly contagious disease. Any wood or branches taken down over the winter that is infected with oak wilt needs to remain covered under black plastic and completely sealed until after July 1. During the summer if you sustain storm damage and lose a limb from an oak on your property, immediately paint the wound with black tree paint to seal the wound and prevent exposure to the oak wilt fungus. The fungus beetles infect trees that have been recently injured or trimmed. These beetles are very active in the spring and summer months. Oaks should be protected from damage and not trimmed from April through July. If an oak tree is damaged during a spring or summer storm, apply tree paint immediately to any wounds that accidentally occur. If an oak is infected a nearby neighboring property, your trees could be at risk through their intertwined root system. Oak roots travel up to 50 feet out. The fungus can pass underground from tree to tree. Roots can be cut using a trencher or vibratory plow to prevent the spread of oak wilt. The process uses a five foot blade that severs the roots to protect neighboring trees. Root cutting should be done prior to tree removal. Have a Minnesota Real Estate Question? Ask Me! I Can Help! Only you can improve your health. If you are not serious… GO AWAY!